I was recently approached by SalonSpy.co.uk to work with them on reviewing salons in my local area. After a little peruse of their website, I jumped at the chance to get involved. I'm all about giving honest, in-depth reviews and I think the way SalonSpy.co.uk works is amazing at giving people the chance to voice their opinions and let others know about the good, AND the bad salons in their area. I am the most nit-picky (pardon the pun) person when it comes to getting my hair done. I am always terrified when going to a new hairdressers, after so many hair disasters in the past I've found myself with a bit of a complex about sitting in the hairdressing chair. However, a website like SalonSpy.co.uk will help put people like myself's minds at ease. The concept surrounding SalonSpy.co.uk is simple; wondering about whether to book an appointment at a hair salon in your area? Simply type it into the search, and you will be met with dozens of honest reviews from genuine customers, discussing not just the quality of service, but the overall atmosphere, the products used, the staff, and how the treatment made them feel. It provides listings for almost every salon and spa in the UK (it currently has over 51,000 listings) - so it's not just hair salons, but beauty salons and spa retreats that can also be looked up and reviewed on there. It's a completely free service and I'm kind of seeing it as the Tripadvisor of hair and beauty salons (if you've scoured the web for hotel reviews before, you'll know which site I'm on about!). 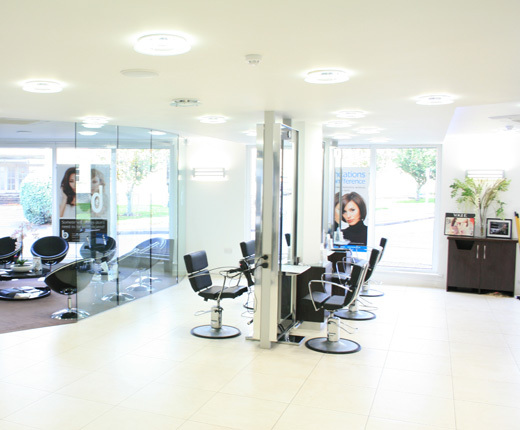 The great thing about it is as well as giving customers the chance to voice their honest opinions, it also lets the salons receive feedback so they can look at improving their services. Some salons are really active on SalonSpy.co.uk and will give responses to reviews, which I think is a great social way of interacting with salon and customer, and will help in bringing quality of service up. In the next few weeks I will be visiting a local salon and rating my experience on SalonSpy.co.uk, as well as giving you guys an in-depth honest review on what I thought of it. I can't wait to share the verdict with you guys, fingers crossed it'll be a good one! Have you used SalonSpy.co.uk before? Do you think you'll be using it in the future?